Who said that prezzies are just for women, Men love them too but it’s just that they haven’t advertised it on a billboard like most women. They are notoriously hard to shop but you can surely count on these gifts which will be a lovely treat for almost every man. Before making the purchase you have to keep just have to understand the personality of the man you are planning to gift. If you are trying to find a gift for the guy who already has everything, trust me, no man has everything that he needs. There is always room for more! I have listed down everything - cool and sophisticated gift sets so that probably no man can have enough of! A classic watch is a must to complete that look! And any man would love to compliment this exquisite piece of gift which is going to make an unforgettable impression for that man in your life! If you have a man by your side who loves travelling and spends more time in airport lounges, a travel kit will go down very well as a treat. The sleek travel bag must complete his style statement, no? He can carry it to several travel tours to enjoy all his travel trips. Men love music more than anything else in the world and serve as an ideal gifts for boyfriend. You can specially go for the one which are custom fitted and can easily fit into your ears. Let him enjoy his favourite tunes when he is away from you. If you have a man who is a tea/coffee lover go for this personalized gift for him. 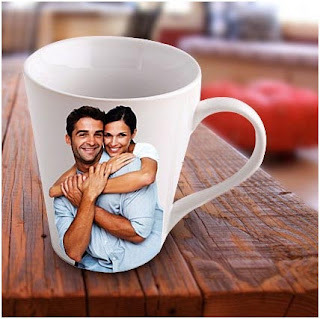 You can gift him this personalized mug to his workplace and it will also give him a feeling that you are always around. These are some of the gifts for men that have been listed down, however you can browse for some more ideal gifts online which can be best suited for him. Oh, Delhi! | The Odd - Even Mayhem. 100 Happy Days | Lessons Learnt. 100 Happy Days. Season 2 Season Finale. Love for Desserts : Macaroons.